Crystallographic photo of Sodium Thymonucleate, Type B. "Photo 51." May 1952. 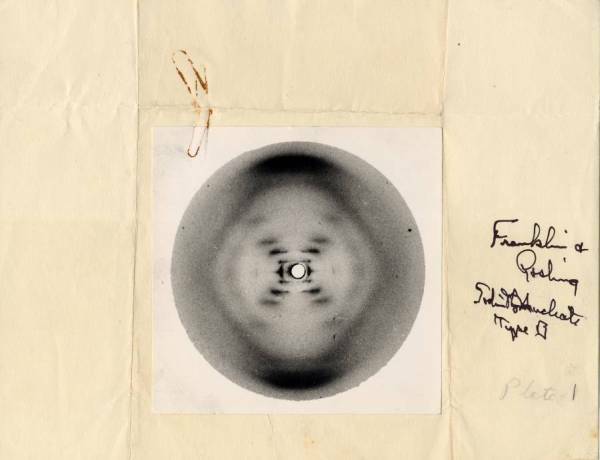 Original held in the Ava Helen and Linus Pauling Papers.